Expert & Responsive 24 Hour Emergency Towing in Springdale! Towing Service in Fayetteville is well equipped and staffed to provide 24 hour towing emergency services. Call us anytime at 479-202-6593 and an expert technician can arrive at your location within 25-30 minutes, or less! Perhaps you have been involved in accident and need to tow car to a mechanic’s garage. You may be stranded off the side of the road with your family due to the engine overheating. When it comes to an auto emergency, everything from a car lockout to heavy duty towing could be involved. 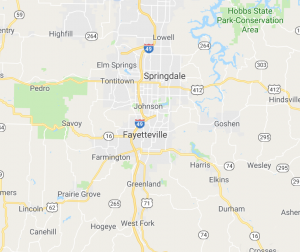 Fayetteville Towing operators are thoroughly trained and experienced in the vast range of solutions and customer care we can deliver in auto emergency situations. Different car models and situations require different approaches, especially when it comes to emergency towing. When you call our 24 hour customer service line at 479-202-6593, we will ask you specific questions about your vehicle to make sure we arrive prepared and ready to tow car safely and effectively. When you are facing a roadside emergency, it is always recommended to contact an experienced and certified towing company. Whether it is a jump start, a flat tire fix, or heavy duty towing, our technicians can easily and safely get you back on the road. Keep our number 479-202-6593 in case you ever find yourself in a roadside emergency needing responsive automotive care.